Every World Cup we ask the question “Will this World Cup be England’s to take home?” and every World Cup we seem to be left with not only no trophy, but the same disappointment as the last World Cup. 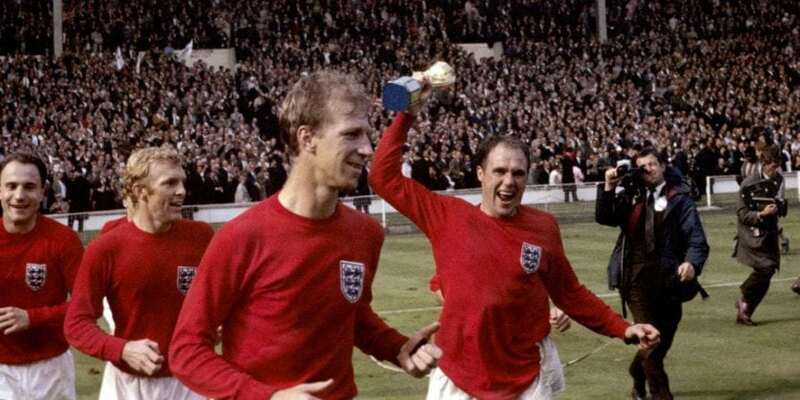 With it being over 50 years since England last lifted the World Cup trophy back in 1966, it is becoming increasingly unlikely that we will see that trophy in the hands of our captain ever again. However, that doesn’t stop us betting on them every year. When it comes to betting on England, you can find some really persuasive odds due to the lack of consistency in the team’s performances and therefore it makes for an interesting bet. Listed below are the current betting odds for England to win the World Cup. Don’t forget to also sign up and receive a welcome betting bonus! It is clear to see that England are far from favourites to lift that World Cup trophy come the end of the tournament in Russia. England have been placed in group G for the Russia World Cup 2018 Competition. In Group G there are: Belgium, England, Tunisia, Panama. A lot of fans are sceptical as to whether England will manage to top the group in what looks like a group they should qualify from. It has to be said the odds are unfavourable towards England topping the group, with most bookies fancying Belgium to be Group G winners. Ladbrokes label England to be Group G winners at 5/4, whilst Belgium stand at 4/5 to be winners of Group G.
10bet have England at 6/5 to win their group and have Belgium at 5/6. The best odds for England to be crowned group G winners comes from Blacktype, they have England at 11/8. Click Here to claim your £10 free bonus when you sign up. International teams take 23 players to the World Cup, but with some nations having so much talent in their squads, it means that some big-name stars unfortunately miss out on this amazing opportunity. This can cause big fall outs with players and international coaches. Looking at that squad there is a lot of potential and young talent in their that could certainly light up the World Cup for England, however, will it be able to compete with the likes of Brazil, or France, or Spain? Teams who have talent oozing out of their squad. Harry Kane is clear favourite to be England’s top goal scorer in the Russia World Cup 2018. Bet Stars have Harry Kane at 1/1 which shows how highly they rate him for being England’s top finisher. Raheem Sterling is also a potential candidate of banging in the goals for England, he will be playing a more attacking role in the England squad than he may have done for Man City in previous seasons. Sporting Bet have concluded 13/2 odds for Raheem Sterling to be top goal scorer for England. It will be interesting to see what formation Gareth Southgate will play, whether he will play with 1 or 2 strikers, this could affect Jamie Vardy’s participation in the competition, he is labelled at 7/1 by Ladbrokes to be England’s top goal scorer. Not every fan will have full confidence in England to progress through the world cup and win the competition. There will be some wanting to bet against England, probably hoping that if they Win, you get the enjoyment of victory, but if they lose, you get the enjoyment of winning some money! Winner: Betway 16/1, BetVictor 16/1, 188Bet 18/1.